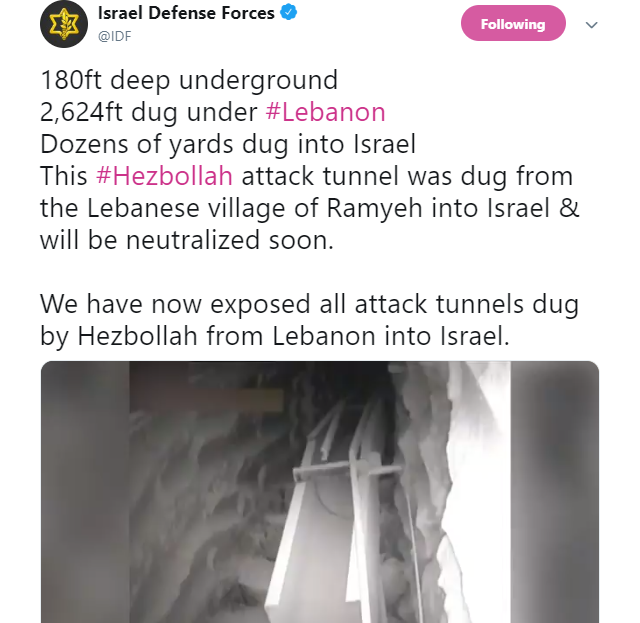 The question is why UNIFIL, the United Nations Interim Forces in Lebanon, whose mandate, renewed in 2018, is to keep the peace on the Israeli-Lebanese Border, failed to publicly note and put a stop to the building of six tunnels built for the express purpose of allowing Hezbollah terrorists to enter Israel and murder Israelis. They didn’t hear the power tools, drills, and heavy equipment necessary for building such tunnels? They didn’t hear digging?? Is UNIFIL abetting the Iranian terrorist organization Hezbollah in its efforts to annihilate the Jewish State?